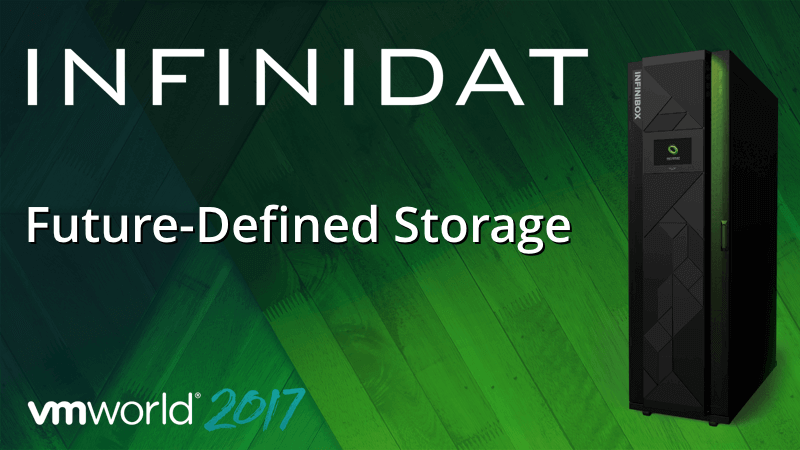 This year we invite you to learn about “Future-Defined Storage”, an approach to data storage that bridges what we’ve done, what we’re doing now, and where we’re going. Future-defined is about understanding the problems in the data center today and providing an agile, media-agnostic, and cost sensitive solution that addresses those problems now and into the future. Curious? You need to stop by and talk to our team of Sales Engineers about what INFINIDAT can do for you today and tomorrow within the budget you already have. We’ll be more than happy to set up a NDA briefing for you on the spot. 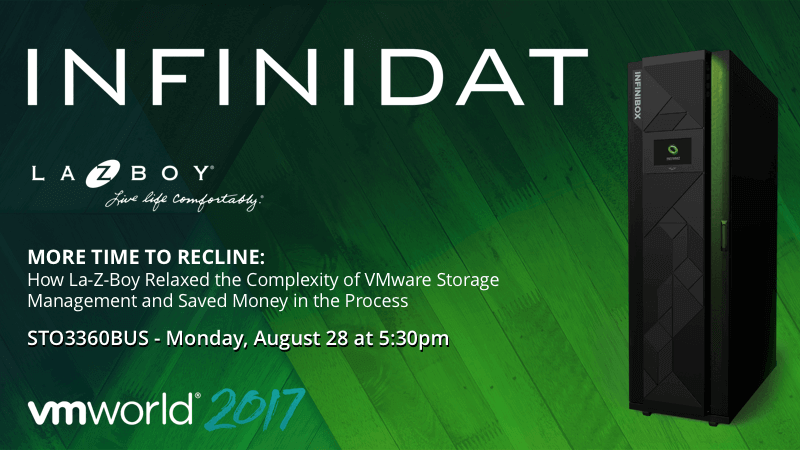 If you haven’t met with us before, this is your chance to explore the possibility of getting better performance than all-flash, better availability than legacy, and a better overall TCO than you do with your current vendor. All of this with an eye on the future instead of on your checkbook. Of course what good would it be as a Gold Sponsor if we didn’t put together a session with a current customer to tell everyone else about their INFINIDAT experience. This year is no exception. At VMWorld Las Vegas we’re thrilled to have La-Z-Boy presenting their story. At VMWorld Barcelona we’re equally thrilled to have Amdocs present their story. Both sessions are heavily focused on having an engaging conversation about the challenges these organizations face today in delivering IT services in a rapidly expanding, data-centric business. Click HERE to add this session to your schedule. We will be doing a live webcast on The Cube with Wikibon/Silicon Angle again this year. The first segment will be on Monday, August 28th at 11:30am PDT and the second, featuring INFINIDAT customers, will be on Wednesday, August 30th at 9:30am PDT. Specific details are still shaping up, so check back with our blog, our LinkedIn page, or on Twitter soon. Want to learn about INFINIDAT and the InfinBox? Want to learn more about “cloud-adjacent storage” and where we see the future of SaaS for multicloud environments? 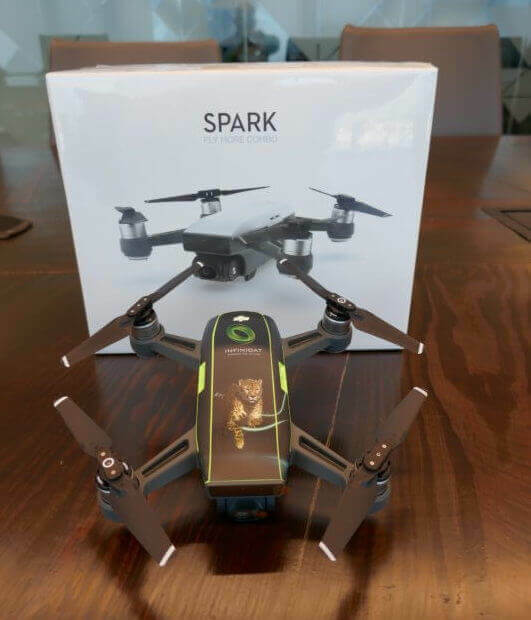 Want to know what’s coming in Version 4.0? 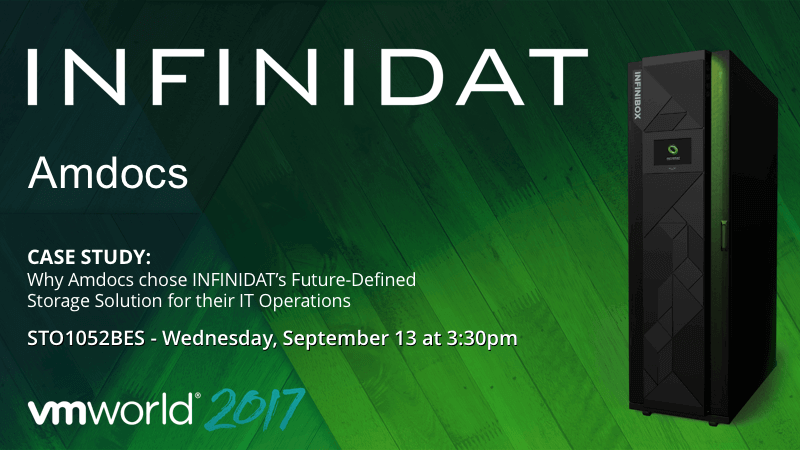 Stop by the booth and we’ll spend all the time you need to fill you in on why INFINIDAT is defining the future of enterprise storage. Drew Schlussel (@realdschlussel) is the Director of Content Marketing at INFINIDAT. He’s completed multiple “tours of duty” in engineering, product management, product marketing, and experiential marketing with industry innovators such as EMC, Quantum, and Sun Microsystems. Drew brings to INFINIDAT decades of experience across a broad range of applications and solutions in the storage industry. Outside the office he can typically be found hurtling down a mountain on a bike or skis with a smile on his face.